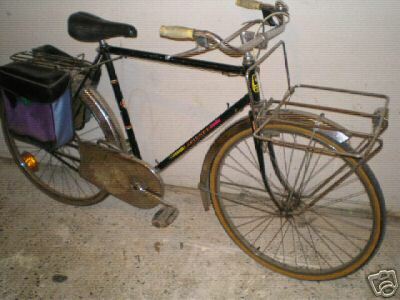 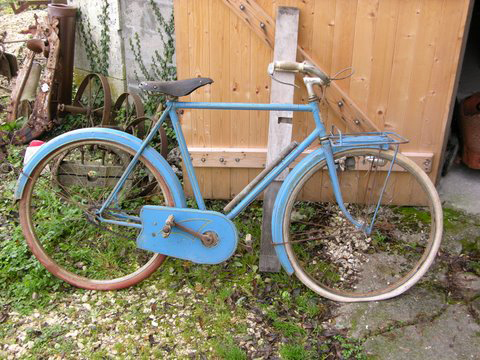 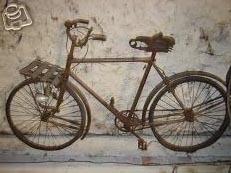 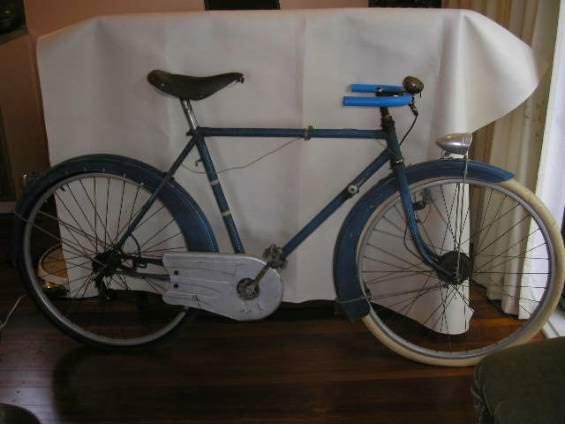 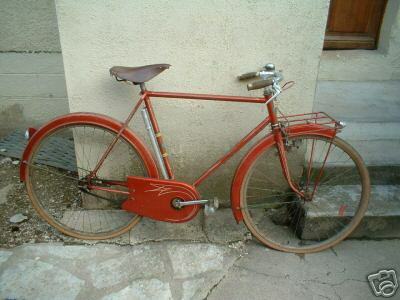 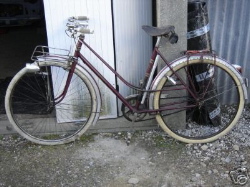 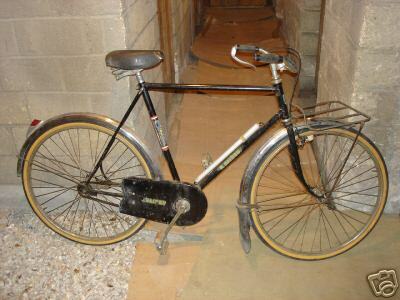 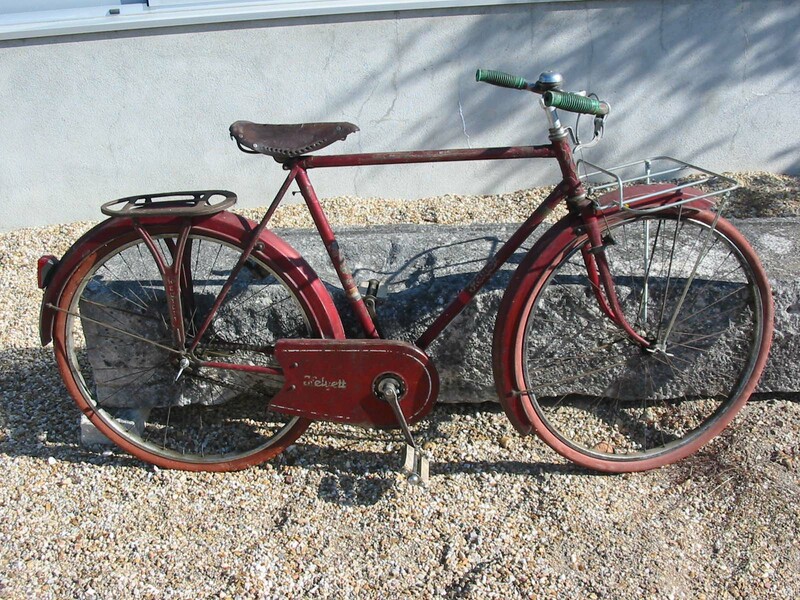 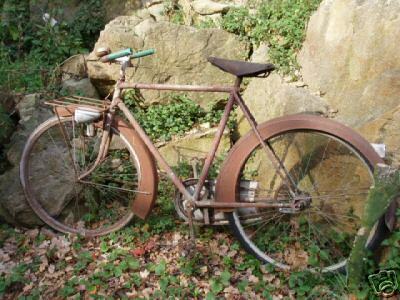 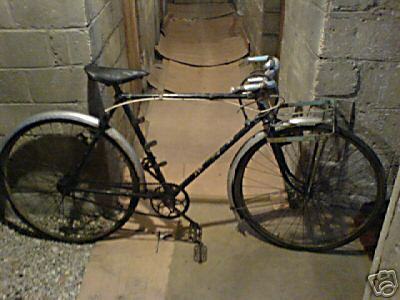 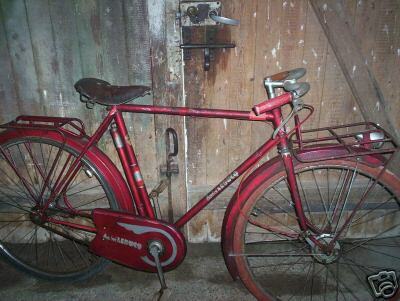 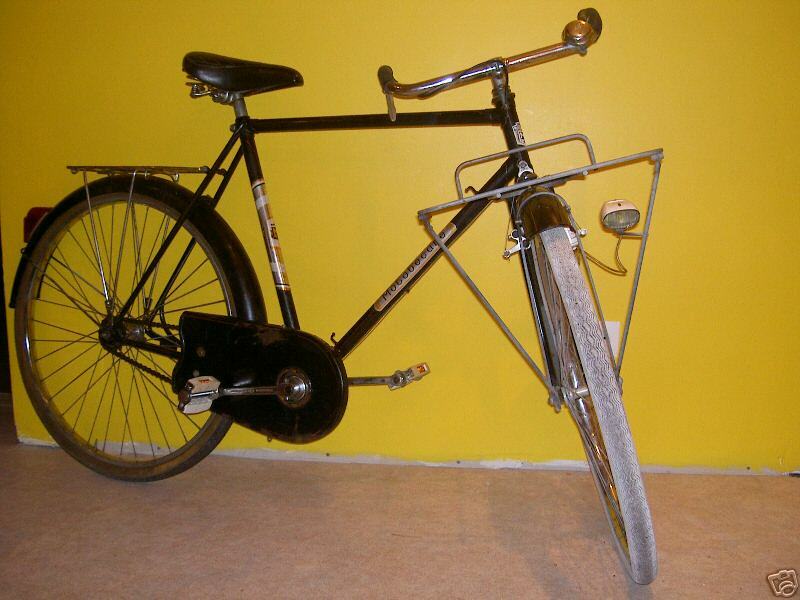 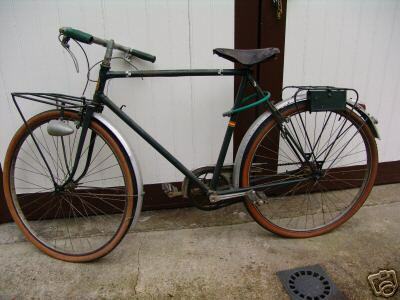 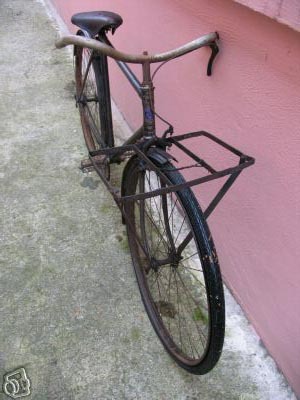 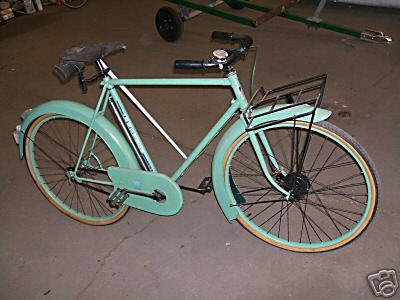 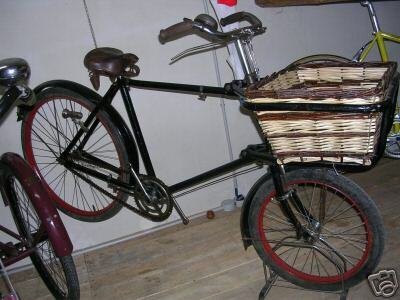 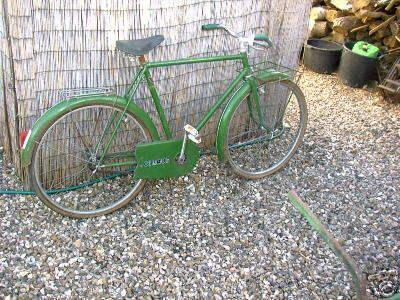 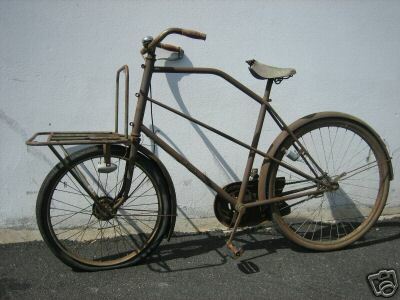 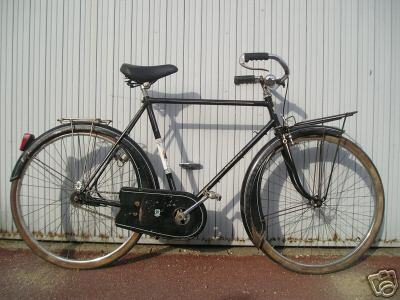 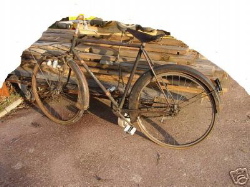 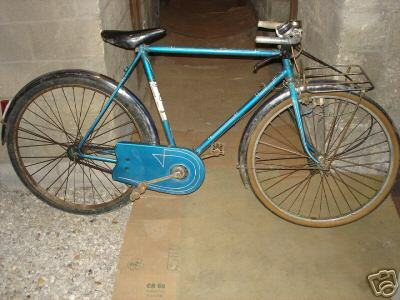 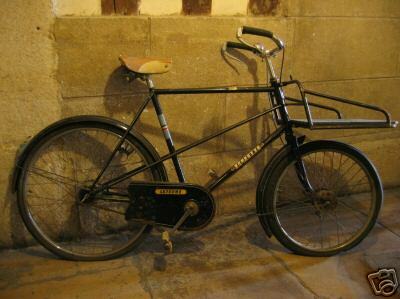 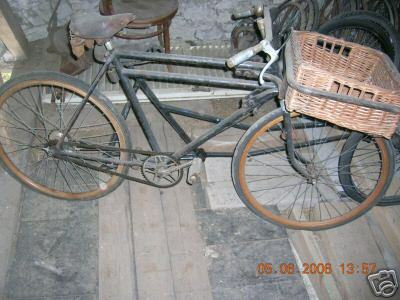 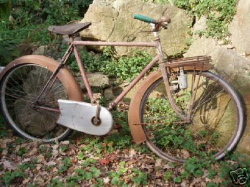 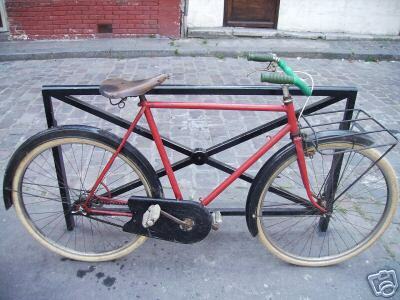 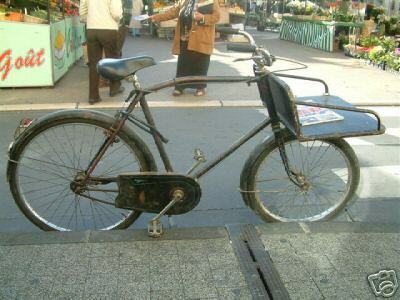 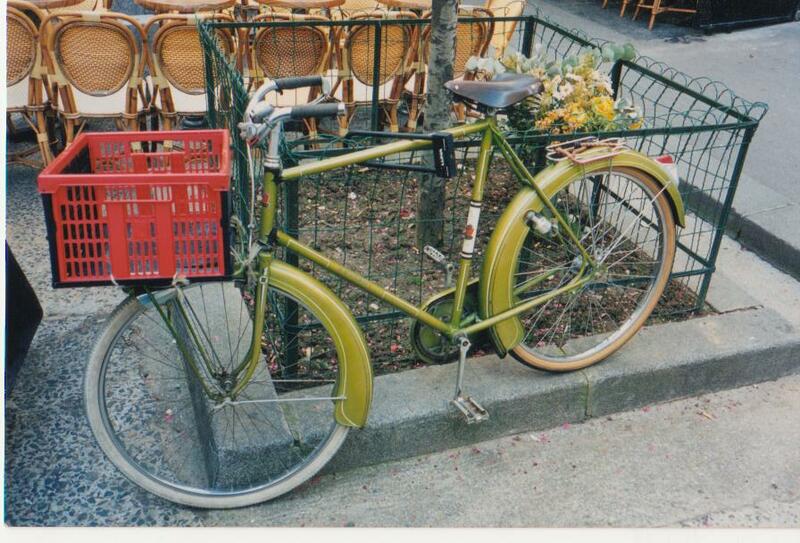 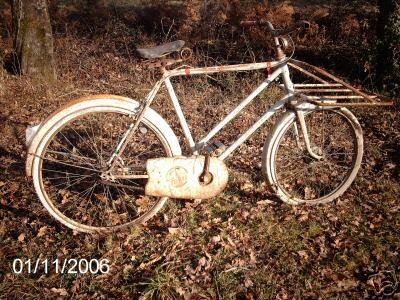 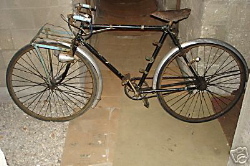 While some of these examples are fancier versions of the bicycles used by the newspaper couriers of Paris, they do give an idea of what these bikes were like. 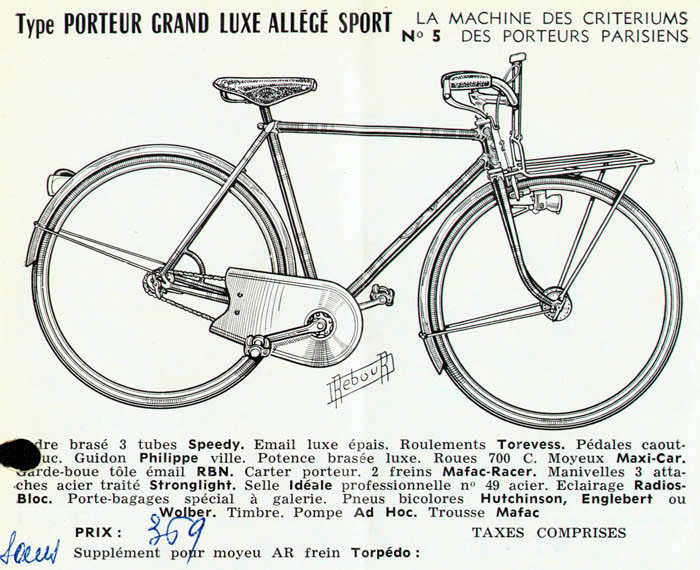 The Goéland "Grand Luxe" is notable simply because its catalogue entry lists it as "The Machine of the Paris Courier Races" - which was a key piece of evidence in my search for proof that the Critérium des Porteurs de Journaux continued after WWII. 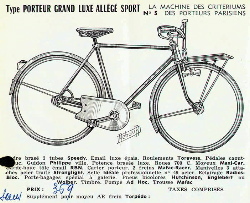 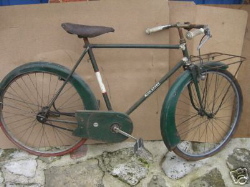 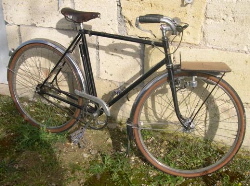 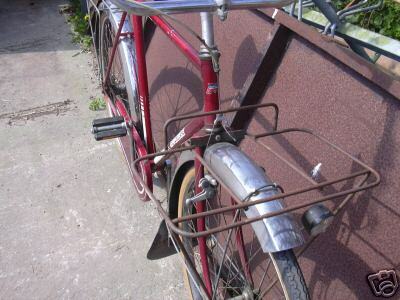 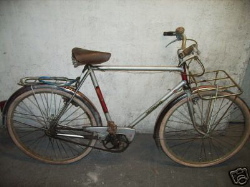 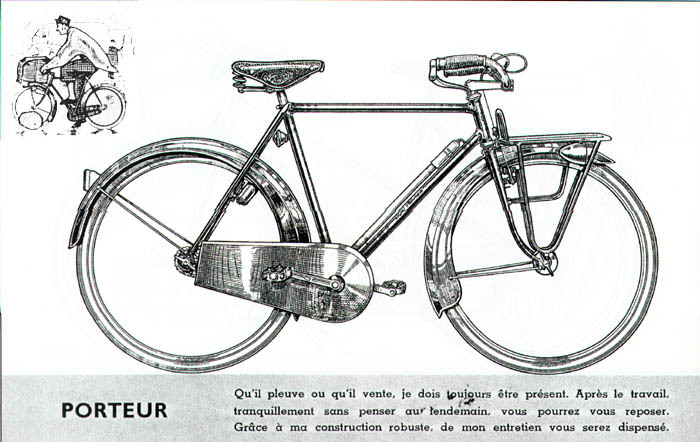 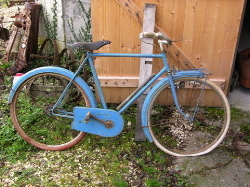 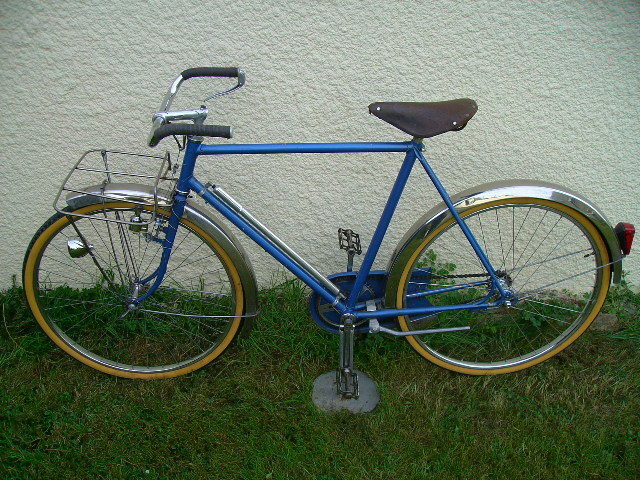 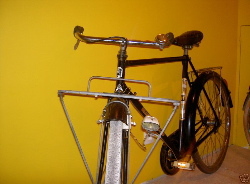 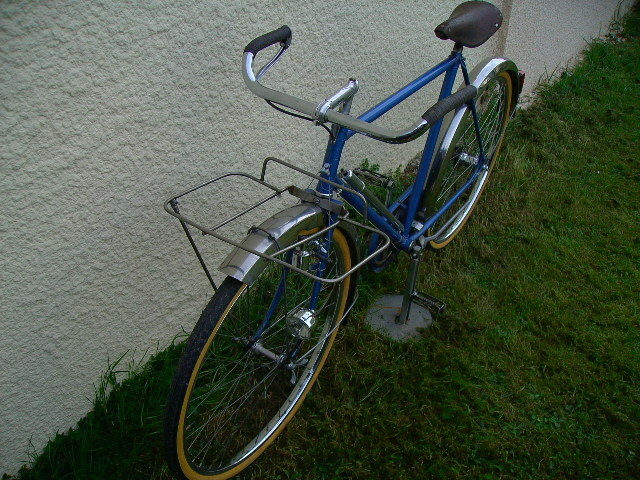 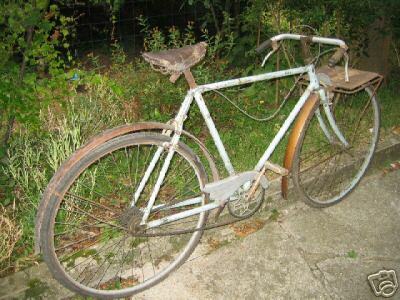 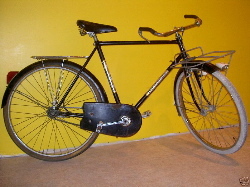 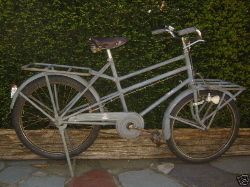 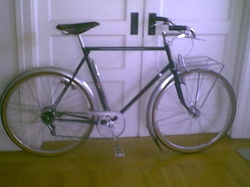 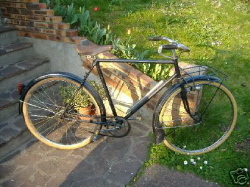 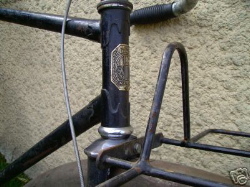 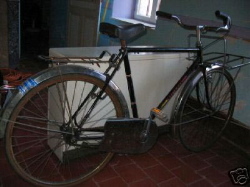 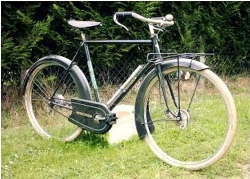 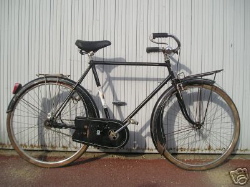 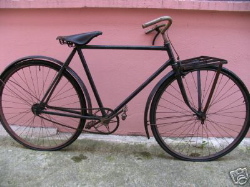 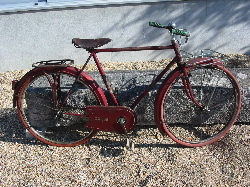 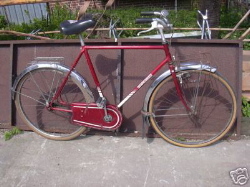 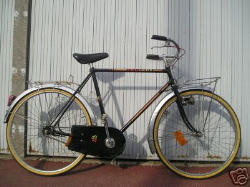 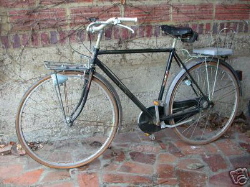 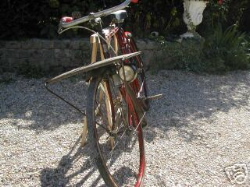 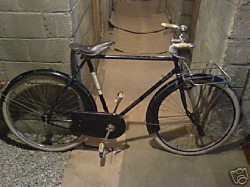 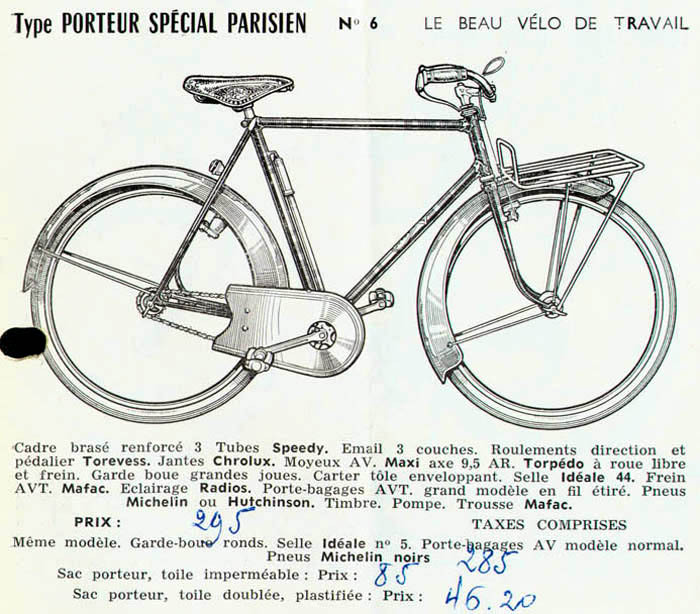 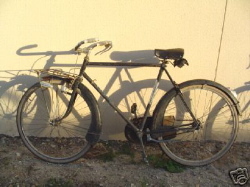 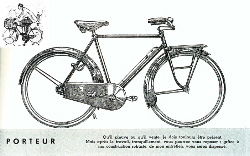 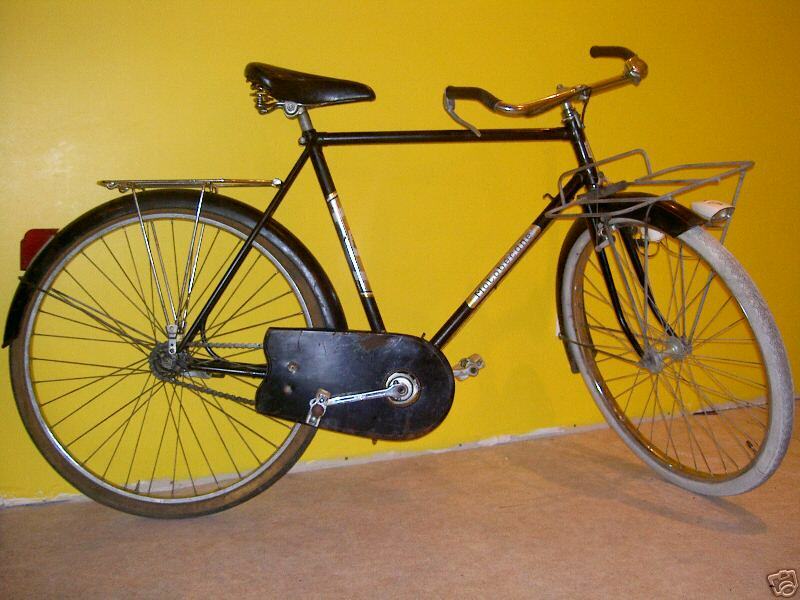 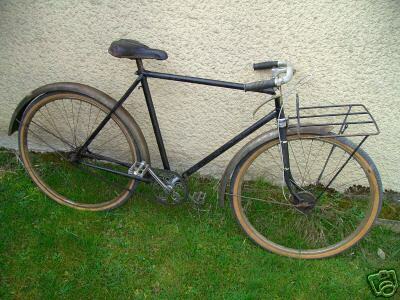 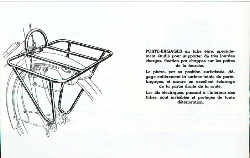 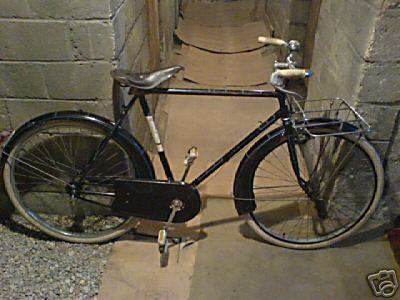 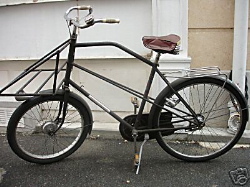 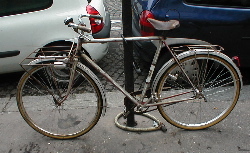 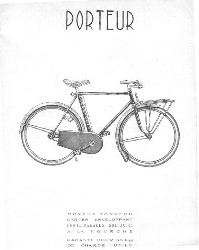 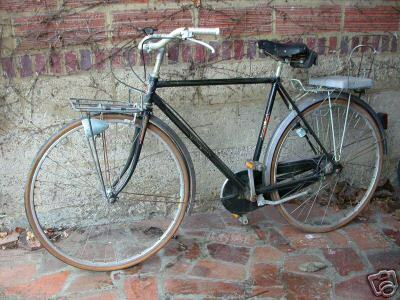 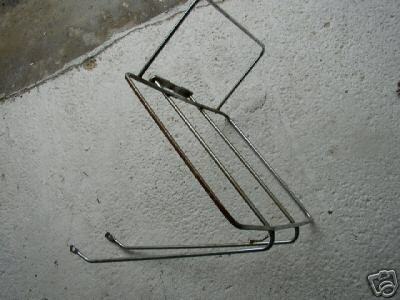 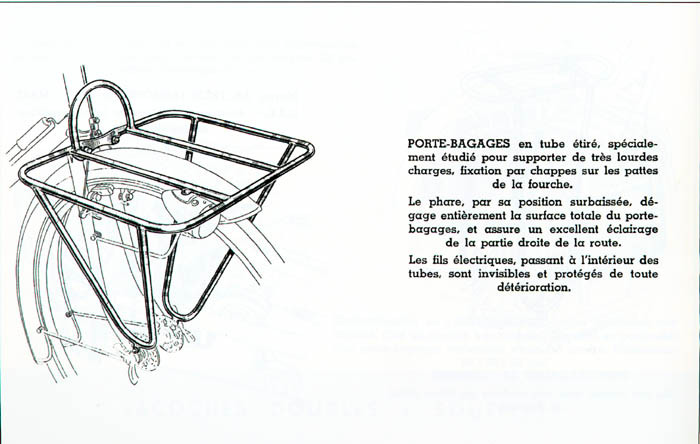 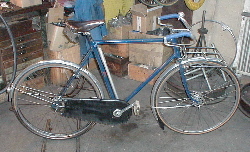 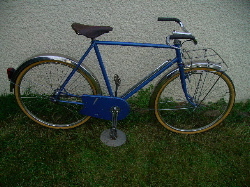 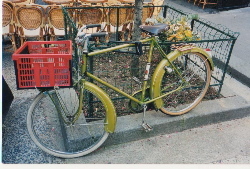 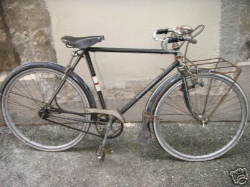 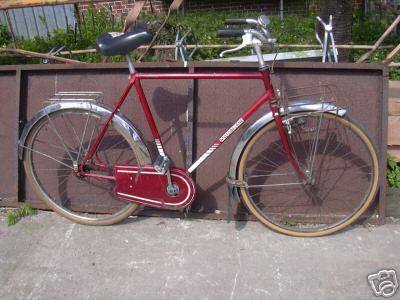 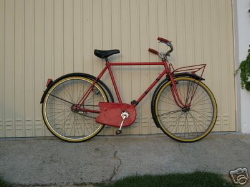 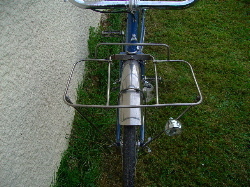 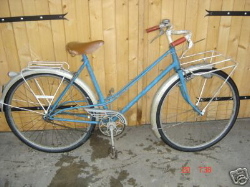 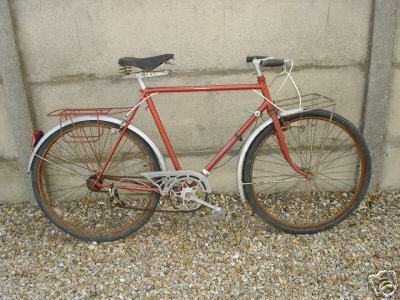 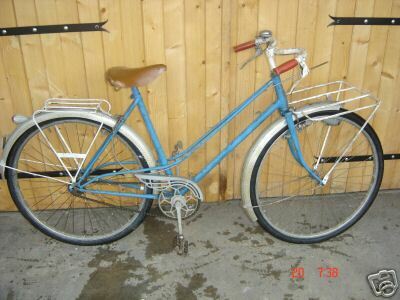 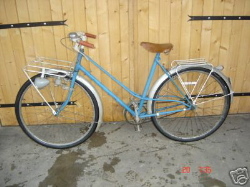 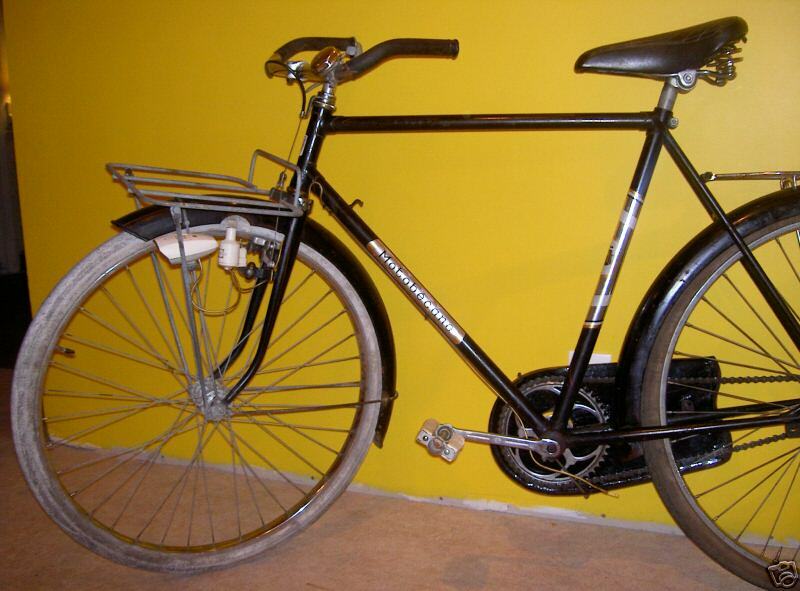 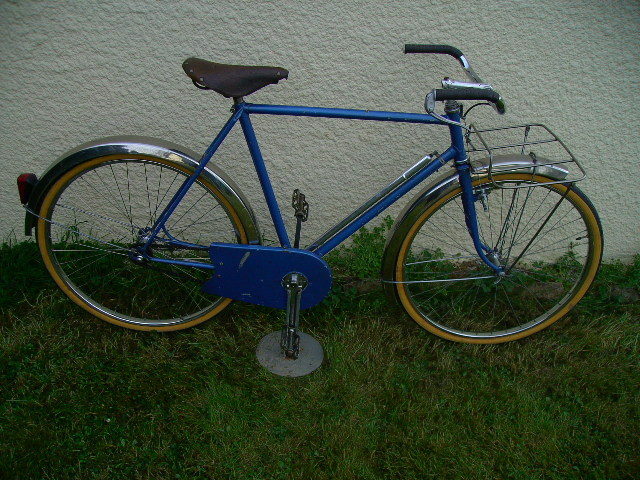 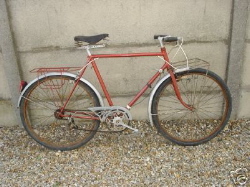 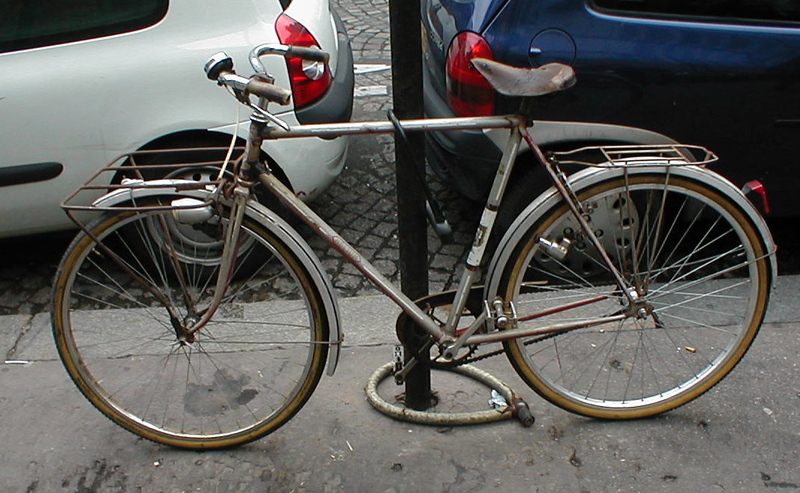 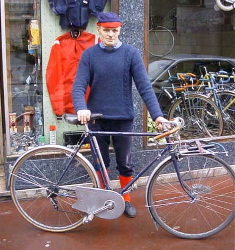 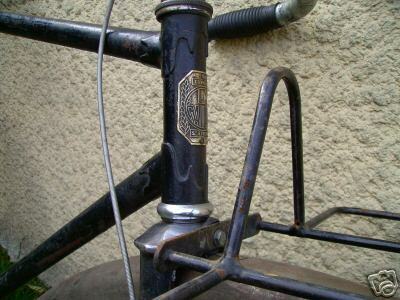 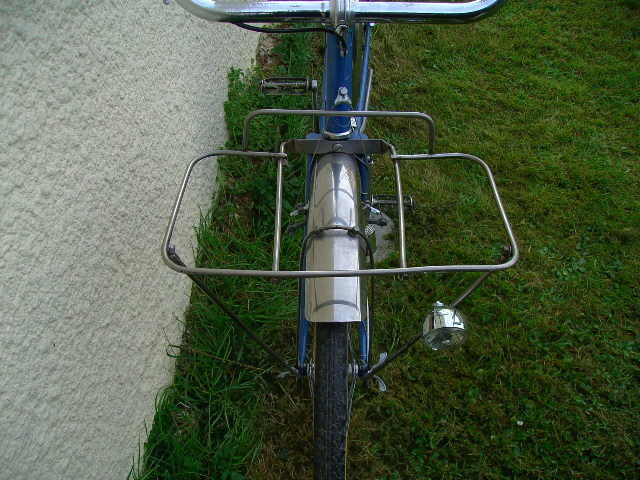 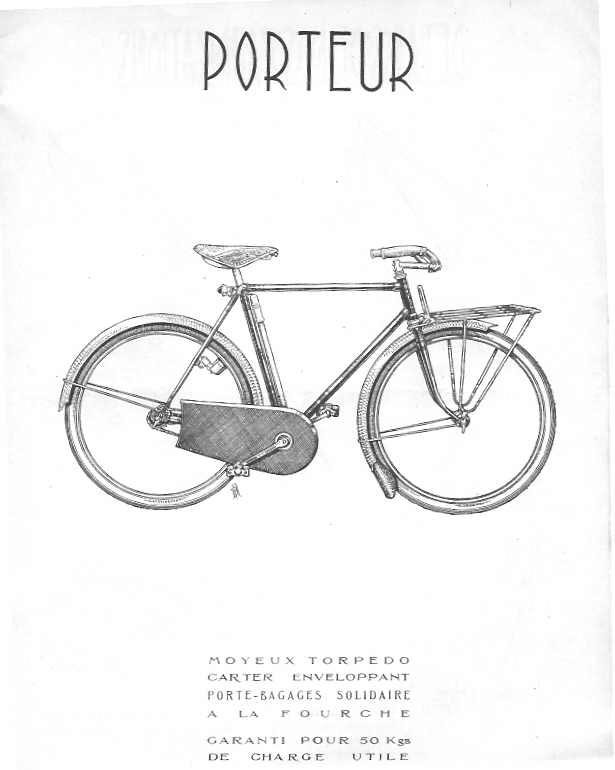 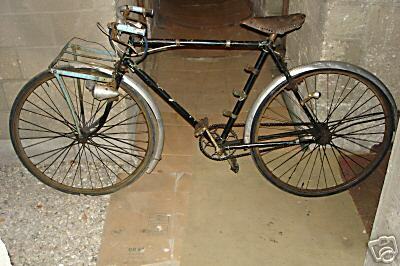 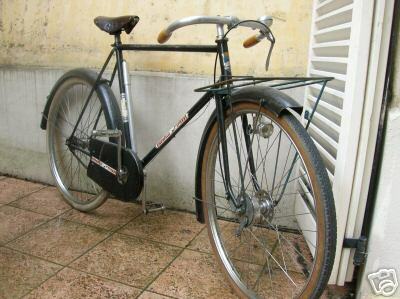 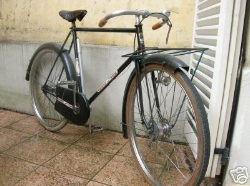 Though many of these are shown/drawn with more upright "trials" handlebars (which come straight out from the stem for a bit, then make a simultaneous right angle turn back and 45 degree angle upwards, and then flatten out), many of the racers seemed to prefer the flat version "porteur" bars. 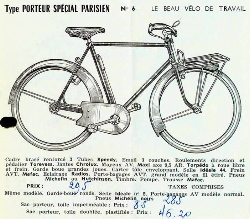 These are more utilitarian versions of the "porteur" bicycles, and probably similar to what most Parisian newspaper couriers actually used. 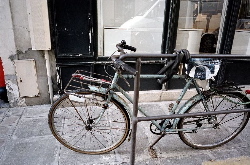 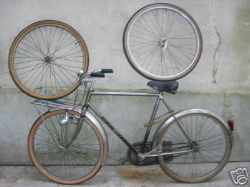 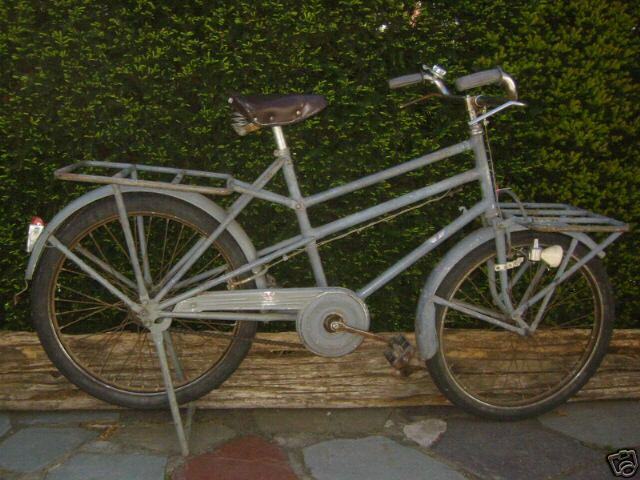 Some of these are pictures off what may well be plain town bikes with porteur type baggage racks mounted on them, some are actual purpose-built "porteur" bikes - either way, it gives you a good picture of the basic vehicule.